This picture is the only solid piece of evidence to the existence of the planned computer add-on. 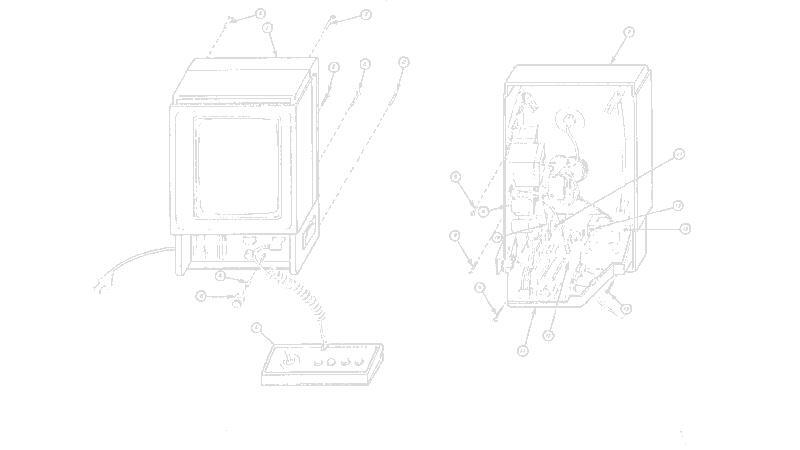 The picture appeared in the September 1983 edition of Creative Computing along with an article on the light-pen and 3D imager, the only information given about the unit is the text shown (ie none at all!). The add-on was never actually released although the rumours of the existence of a prototype are substantiated by the picture. A modem, disk drive and printer were also on the drawing board along with the following software titles :- Create Your Own Video Game, Music Maestro, Art Program in LOGO, Basic Science, Solar System and Word Processing. To the best of my knowledge no technical information about the unit was ever released. 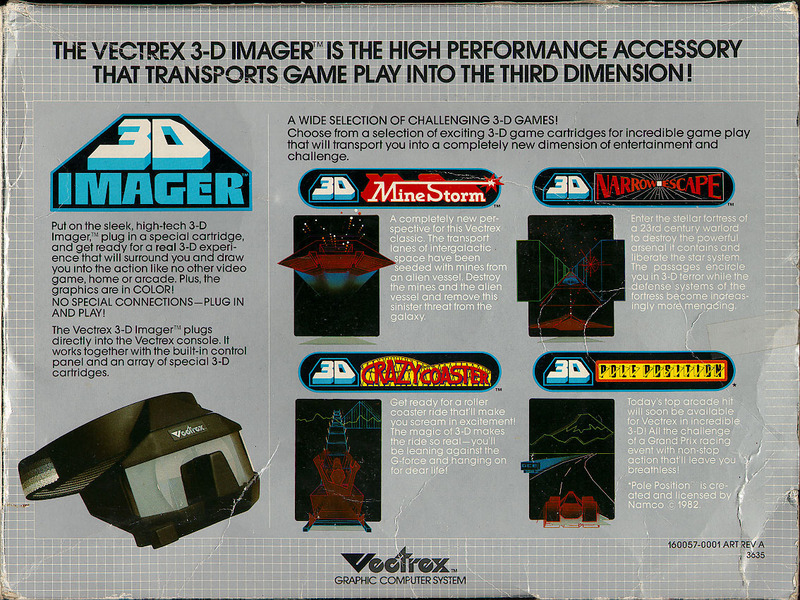 The 3d imager is a rather funky looking set of 3D glasses for the Vectrex. There were three titles released for the unit, 3D Minestorm (included with the imager), Crazy Coaster and Narrow Escape. 3D Pole Position is rumoured to have been completed but was never released. 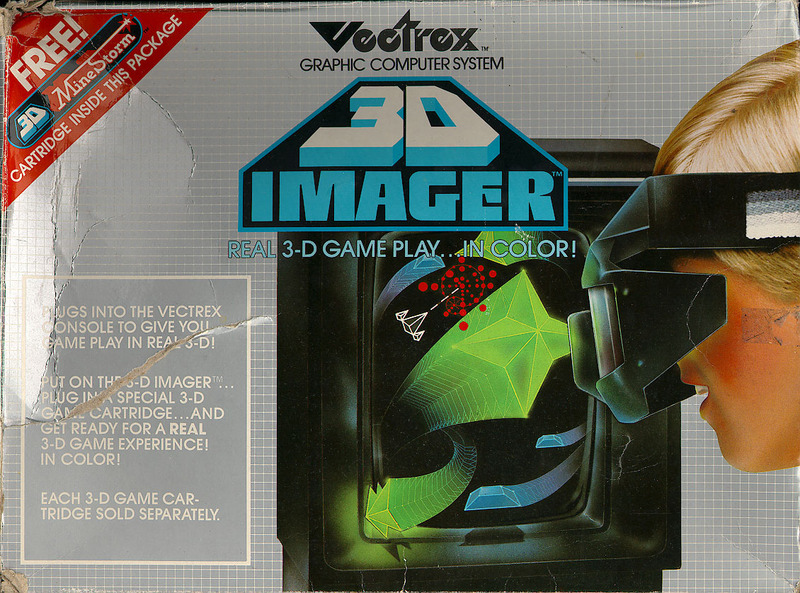 The Vectrex light pen was supplied with a simple art package called Art Master , the other two released titles were Animaction and Melody Master. There was another title on the cards, Mail Plane, but although it was 100% complete and was featured on the back of the light pen box it was never released. 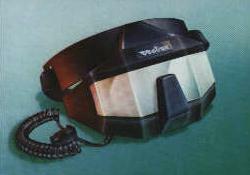 Additional joysticks were available separately for the Vectrex. Not a lot else i can say (i just wanted an excuse to stick the box scan in!). Huge thanks go out to Chris Salomon for supplying the scans and images included in this page.